China has been by far the largest solar installation country in the last few years, as the Middle Kingdom has sharply ramped up solar capacity. China installed 15 GW of solar power last year and has installed an astounding 20 GW in the first half of 2016. This has been done as the country looks to generate more green power in order to meet its climate change commitments, as well as reduce the pollution from its power sector. The country had set a target of 150 GW in 2016-2020, implying an annual installation capacity of 30 GW from solar energy. You might also like to read Solar PV Installation numbers by Country in 2015. However, this target has not really worked out well for many of the solar power developers in China. While large amounts of solar capacity are being added, the transmission infrastructure that is needed to evacuate energy from generation regions to consumption regions remains inadequate. It has been estimated that 30-50% of the solar power generated in some regions is getting wasted, as there are no power lines to move the power. Approximately 1.9 billion units of solar electricity got wasted in the first quarter of 2016, which is equal to almost 4 GW of solar power getting wasted. With more and more capacity coming up, it is in the best interests of china to slow down the construction of new plants, till the time the existing capacity can be utilized. Building solar power plants without transmission can cause huge losses, as most of the costs for a solar power plant are spend upfront. 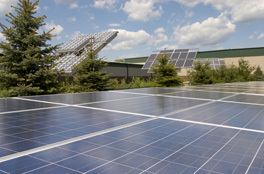 More than 90% of the lifecycle costs of a solar power plant are spent during construction. The interest costs on solar power plants are quite large and if it cannot cover the charges through electricity revenues, then it is a huge problem for the solar power developer. Also read about Major Panel Manufacturers in China. Other countries such as Japan, Chile and India too are facing transmission issues, as there is not enough transmission capacity to move power from far off generating areas to the major consumption regions. China which has most of its solar power capacity in the western and northern regions needs to move it to the eastern coastal regions. The lowering of China’s target is a bad short term outcome for the solar panel companies, who have built up huge capacities on expectations of a sharp growth. Slowing of the Chinese growth is already impacting the prices across the value chain. Many of the solar companies in China are running at 50% utilization, since they get most of their business from the domestic market. Meanwhile, China-based PV power firm Shunfeng International Clean Energy suffered loss of about CNY246 million (US$37.6 million) in power sale in first-half 2016 due to wasted electricity from its Xinjiang stations.